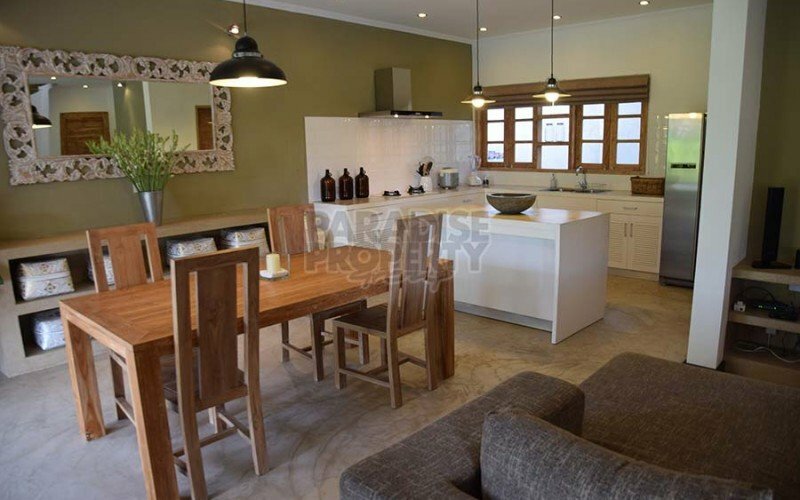 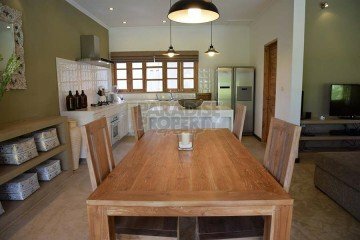 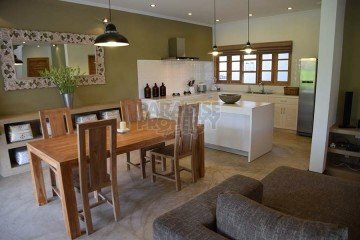 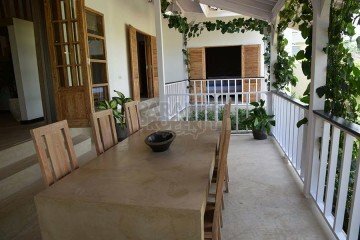 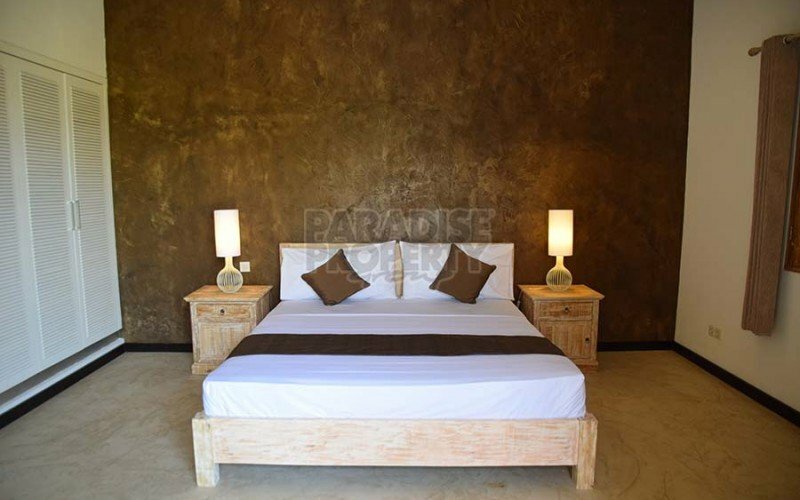 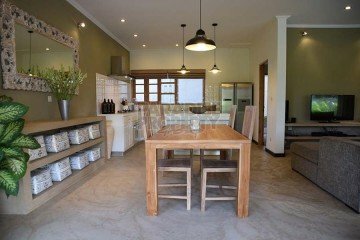 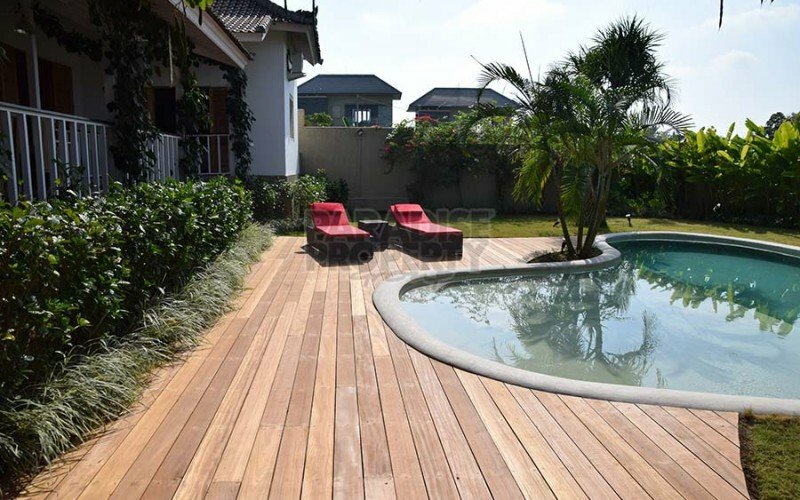 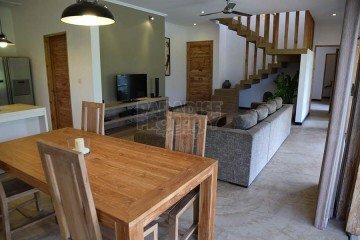 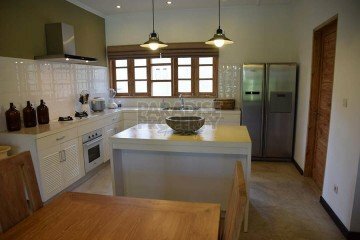 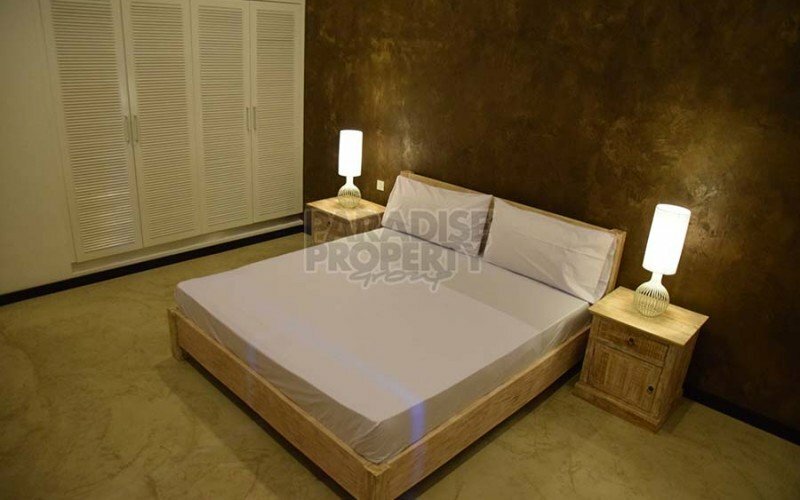 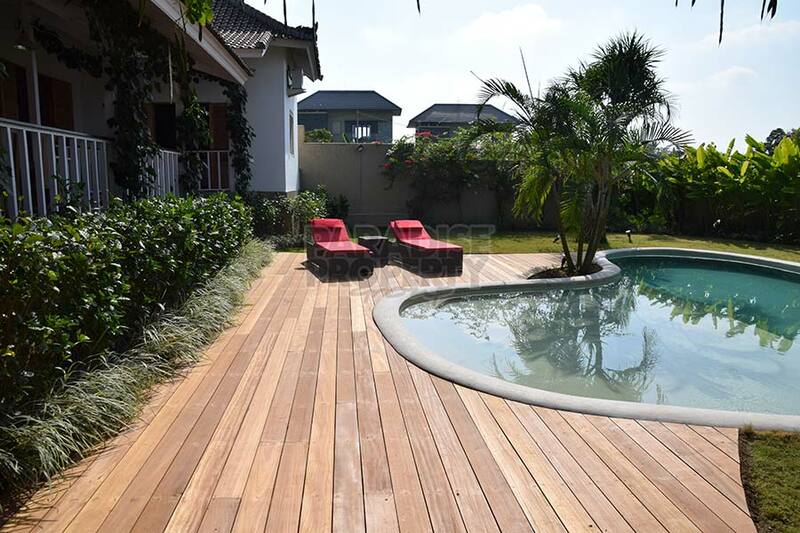 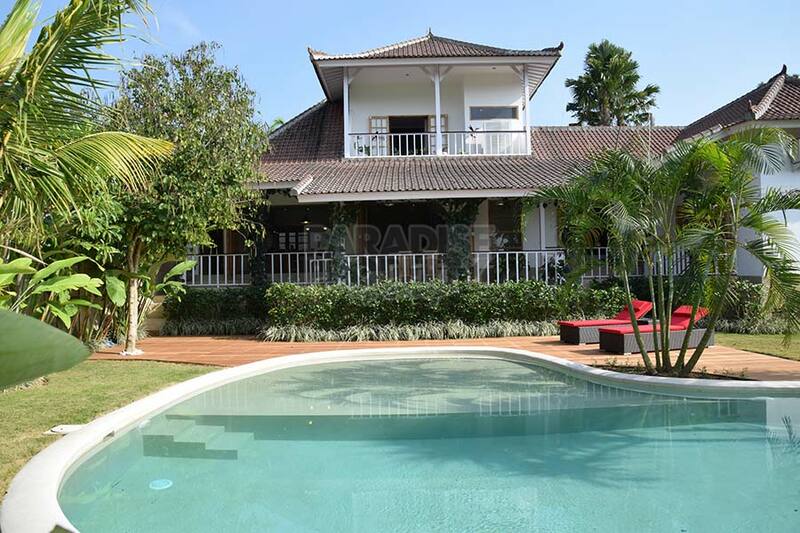 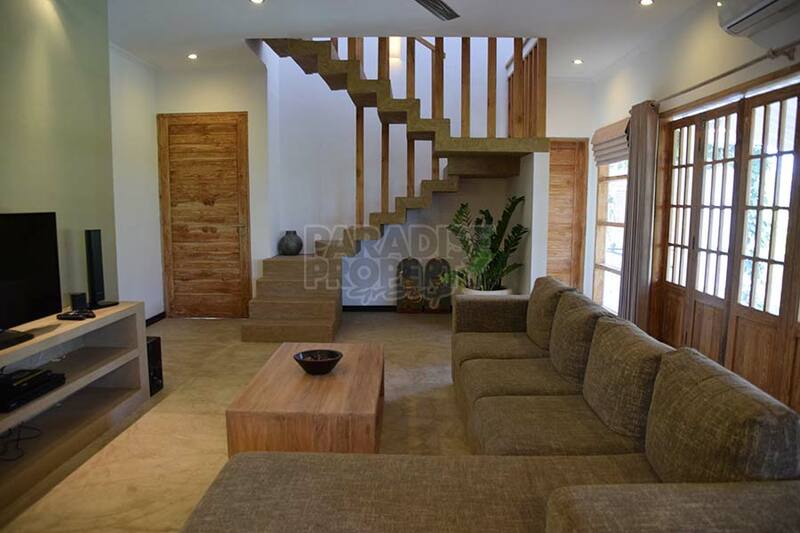 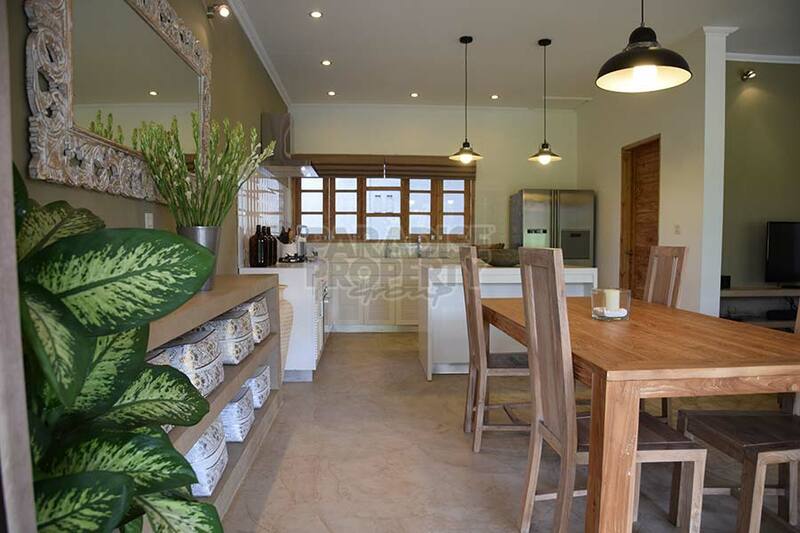 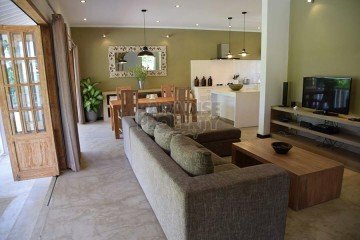 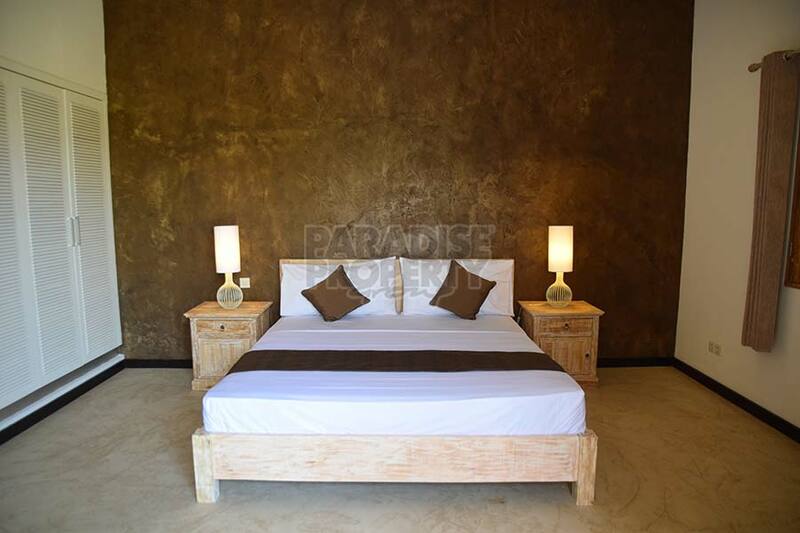 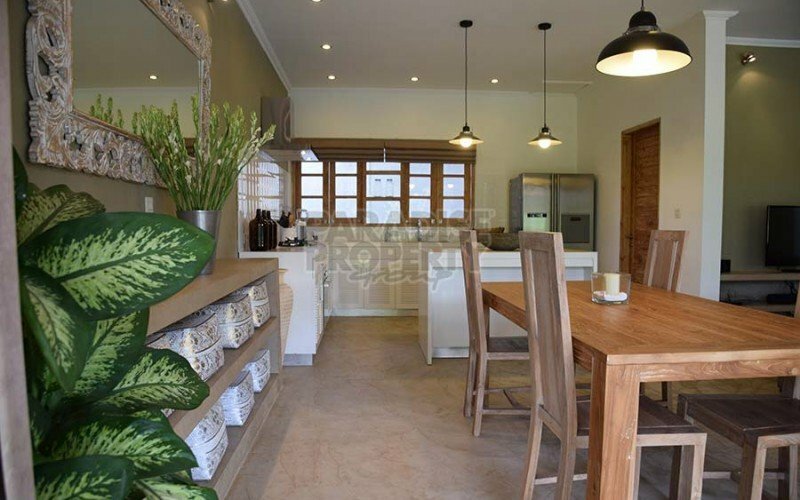 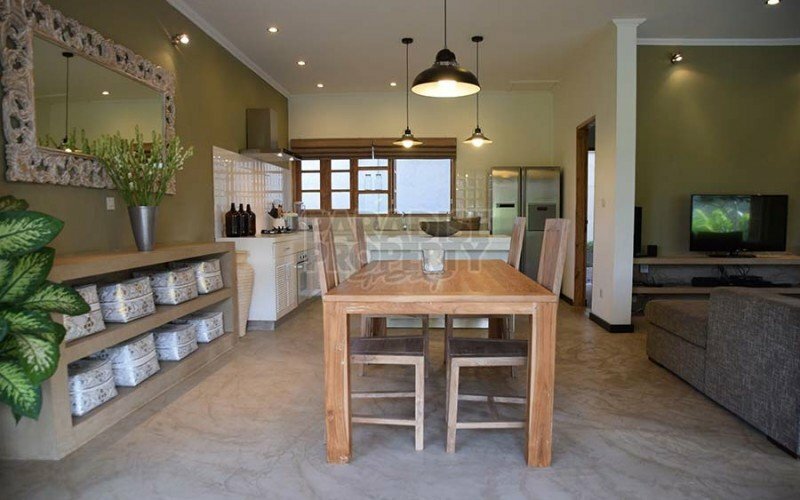 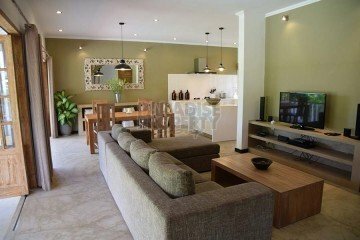 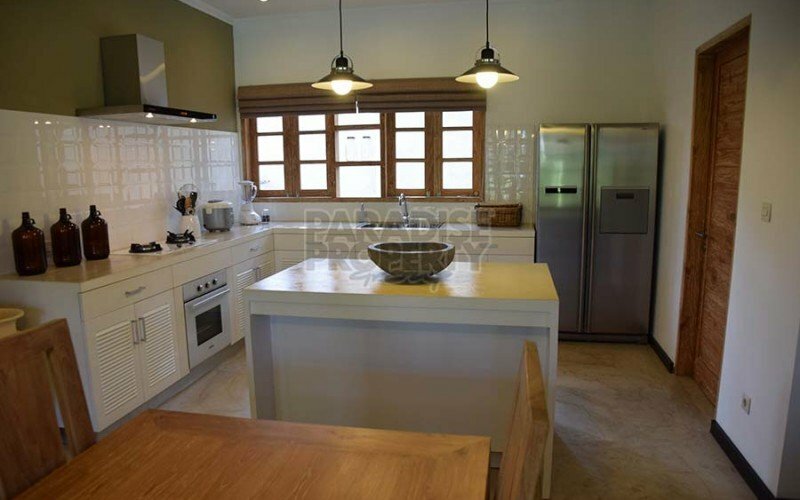 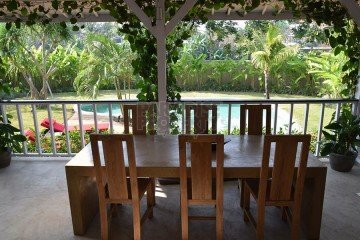 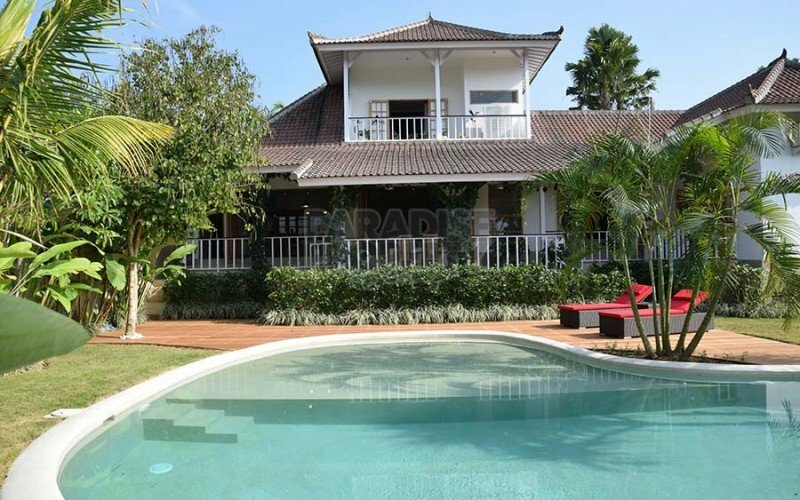 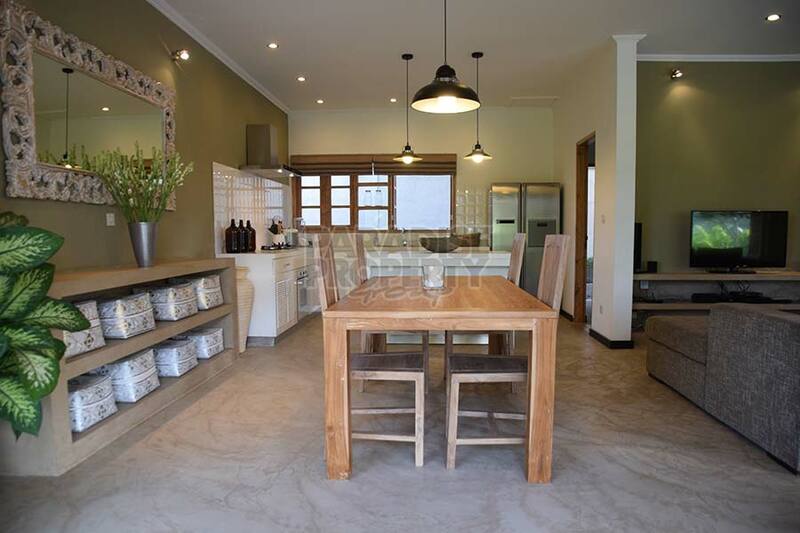 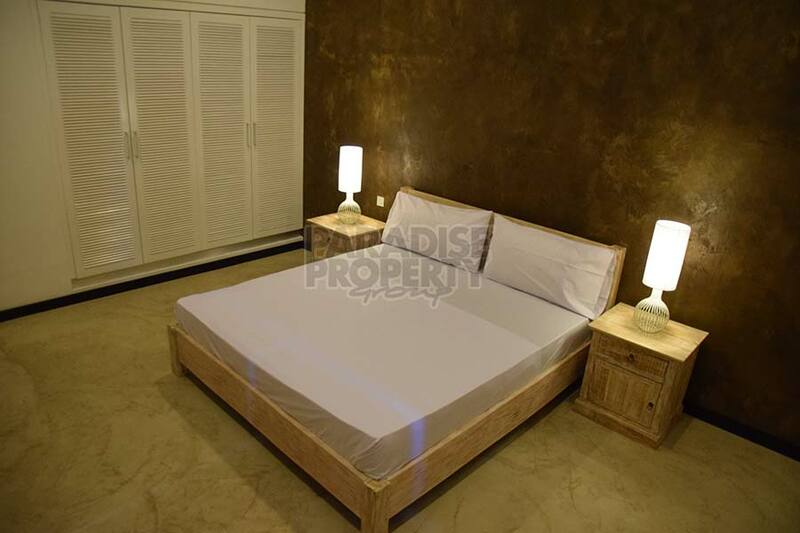 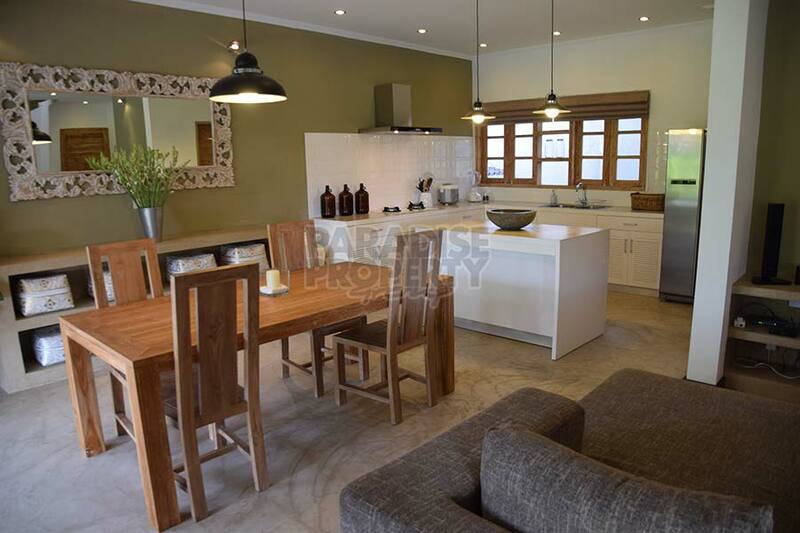 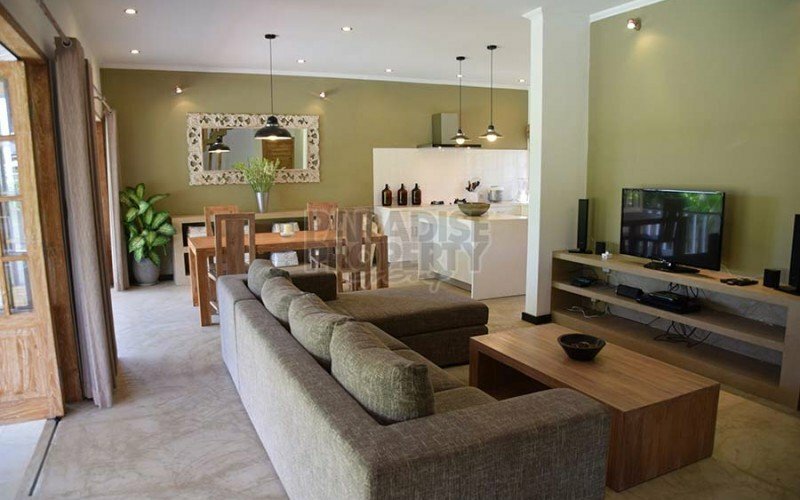 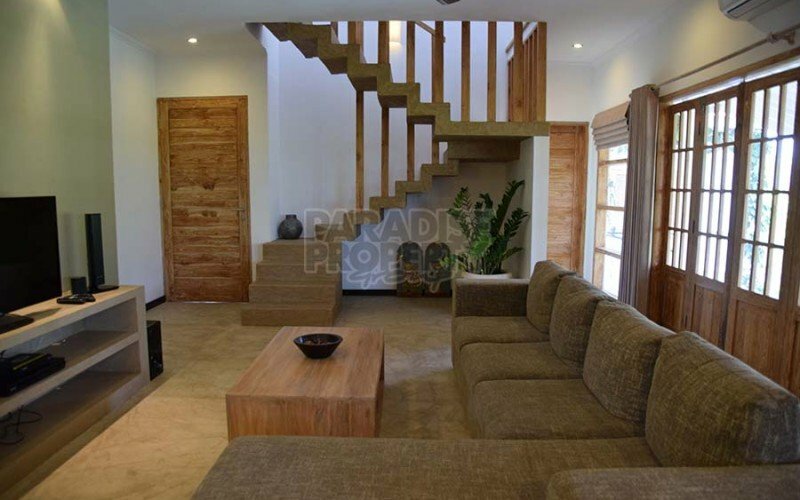 Located in a very quiet area in Padang Tawang Canggu, this beautiful colonial style property is the right choice for your family living, only 5km from the famous surf break of Echo Beach. 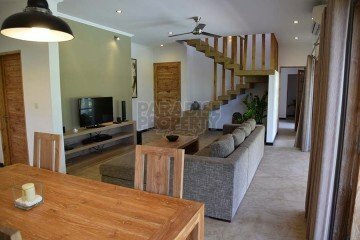 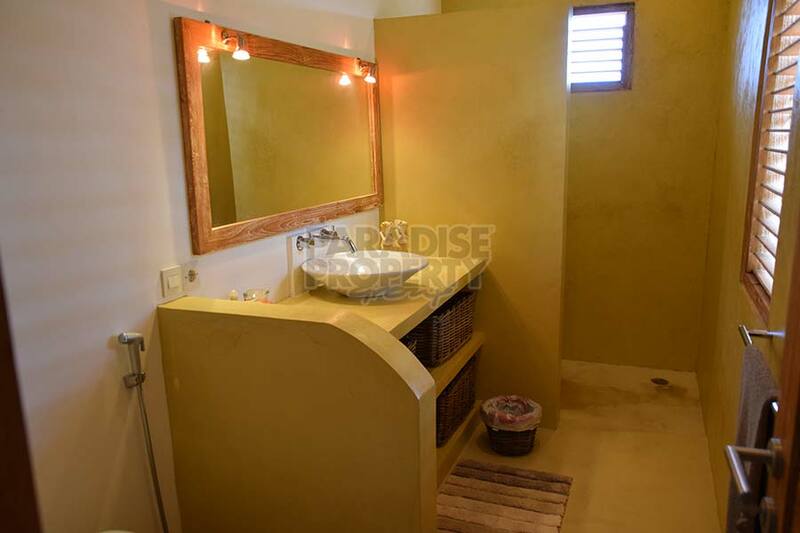 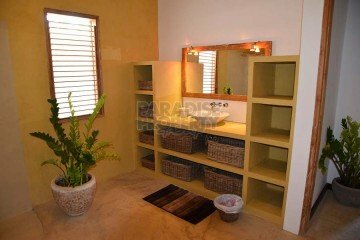 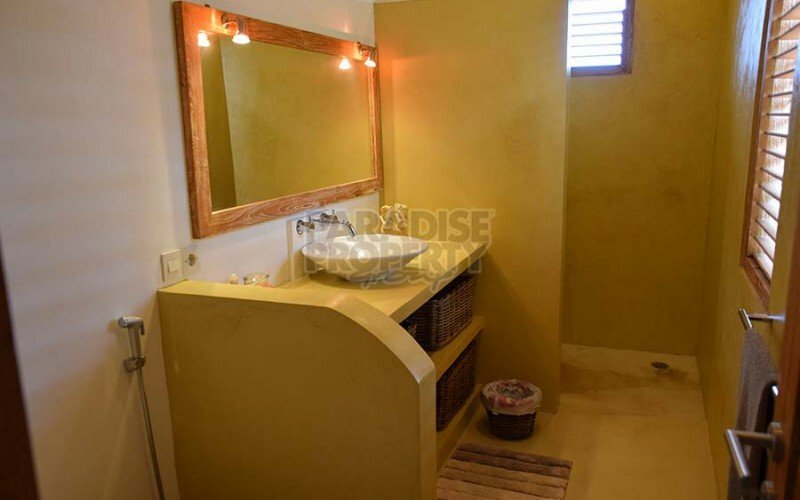 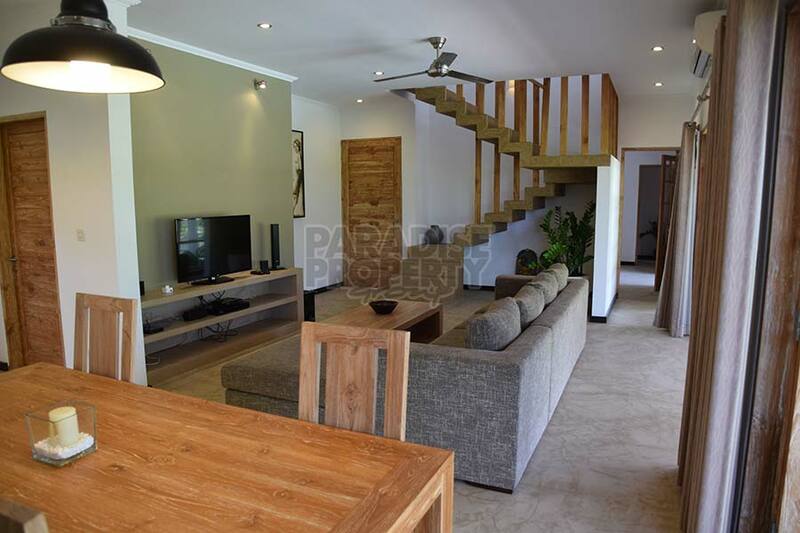 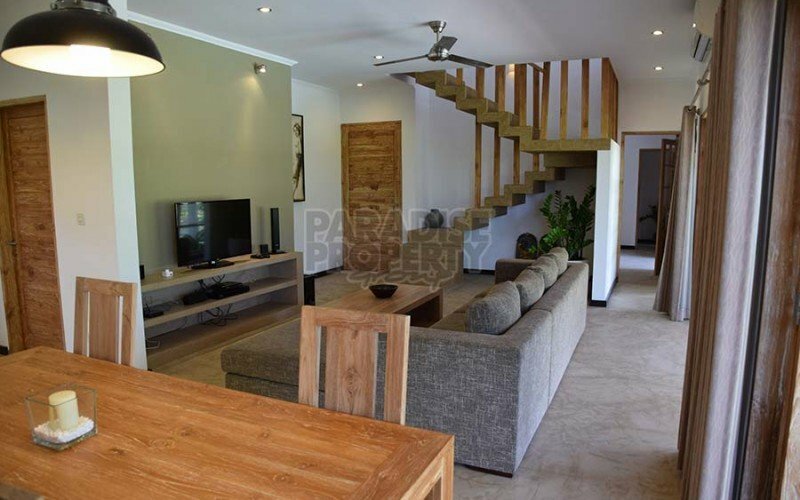 This 2 story villa with a total of 3 bedrooms, 2 bedrooms are located downstairs with a spacious shared bathroom and 1bedroom with ensuite is located upstairs with it’s own private balcony overlooking the greenbelt rice field views. 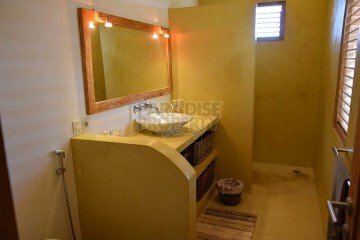 Each of them with well sized built-in wardrobes. 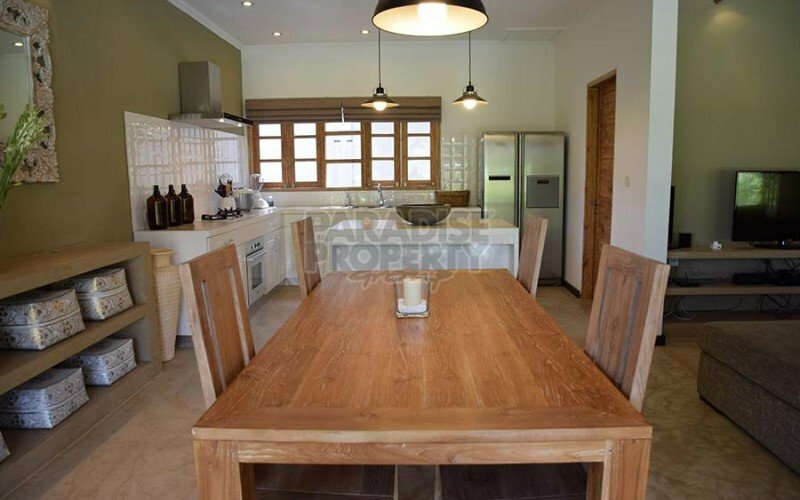 The living & dining areas are well oriented to catch the maximum use of natural light and is complimented by an equipped kitchen space. The area can be fully opened or enclosed and has a spacious outdoor terrace ideal for dining. 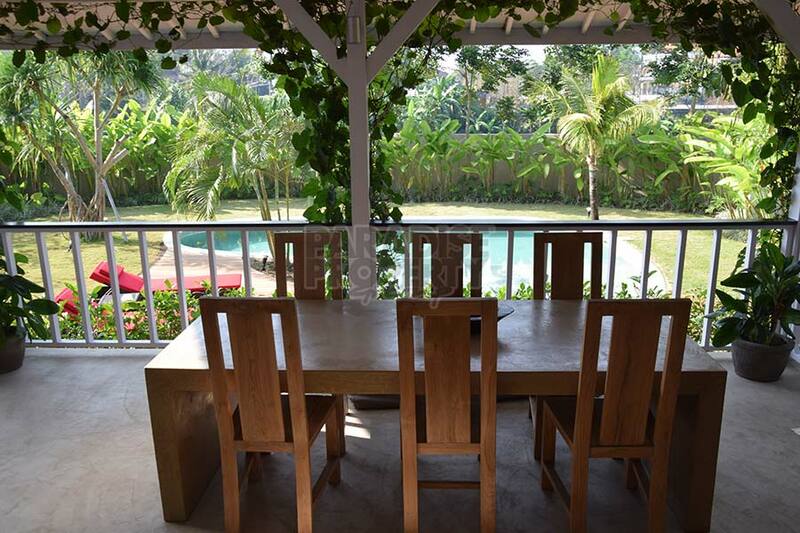 The area is very pleasant and receives a nice inviting breeze thanks to the greenbelt rice fields in front. 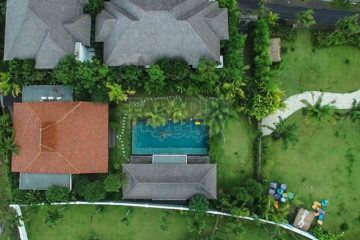 The outside area offers a large garden space with its 9 x 3.5 meter free shaped swimming pool which is suitable for small children and adults.